Every month when the first comes around I am eagerly awaiting to see what the Book of the Month selections will be. I have been receiving this subscription box for over a year now and have been really enjoying the selections each month because they tend to focus on books that are not in the main steam, such as debut authors. As such I have been introduced to many new authors and titles that I would have likely otherwise missed. For those who are not familiar with Book of the Month and how it works, it is a monthly book subscription service. Each month a group of five judges, many times including a celebrity judge, choose five books from which you may choose one with your subscription. If you do not like any of the selections for any given month, you may choose to skip that month with no penalty. You also have the option of adding up to two more books to your monthly selections. These additional selections can be made from the current month, prior month’s archive, or extra books the club chooses to offer to members. The cost of membership is very reasonable, especially because the books are hard cover and new releases. Sometimes the books are pre-release book not yet available to the public. The pricing ranges from $14.99/month – $11.99/month depending the length of the subscription, from three to twelve months. If you are interested in trying Book of the Month, with this link your first book will be only $9.99, plus you get a tote bag for free, or go https://www.bookofthemonth.com/ to if you are interested or want to learn more. Now on to my October Book of the Month! I selected my maximum of three books this month, as I often do. 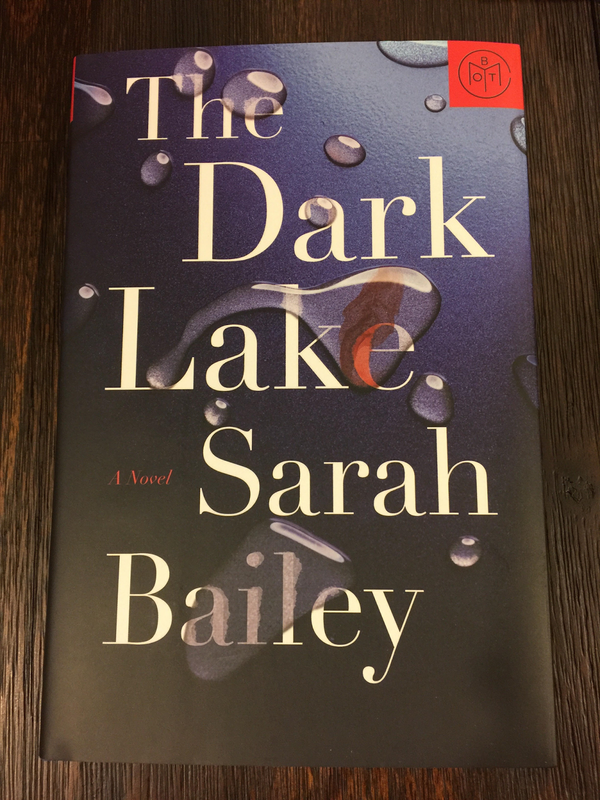 My selection from the October selections was The Dark Lake by Sarah Bailey and she was featured as a debut author on the site. This book is described as a suspense thriller for Paula Hawkins and Tana French fans about a detective hunting the killer of a woman who was a high school classmate. 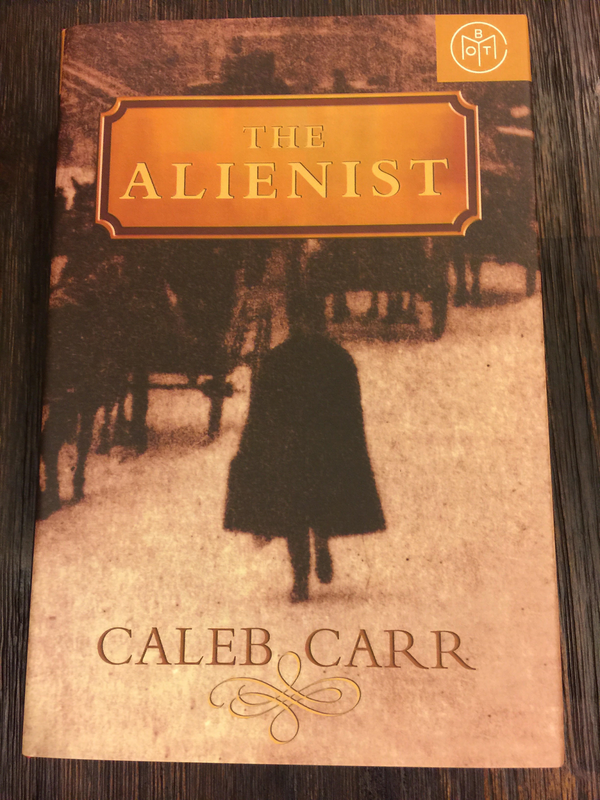 My next book selection was a back issue listed on the site as a member favorite, The Alienist by Caleb Carr. This book is being developed into a TV series and is about an alienist, or psychologist, investigating the brutal death of an adolescent boy in 1896 New York. This book was first published in 1994. 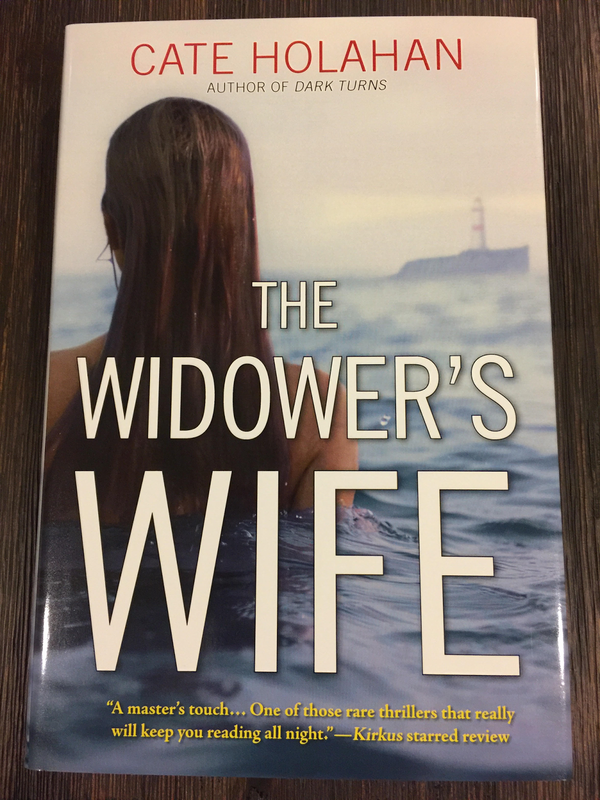 My final book selection was another back issue, The Widower’s Wife by Cate Holahan. I have been looking at this book for a while and finally decided to order it rather than just keep looking at it every month. This is another suspense thriller about a wife and mother who goes missing from a cruise ship. The investigator assigned to the case suspects it was more than just an accident, but there were witnesses and the husband has an alibi. However, the more that is uncovered in this case the deeper the mystery seems to become. The remaining four selections for October were: Manhattan Beach by Jennifer Egan, The Power by Naomi Alderman, Beasts of Extraordinary Circumstances (an early release) by Ruth Emmie Lang, and After the Eclipse chosen by celebrity judge Gabourey Sidibe. That wraps up my October Book of the Month. Until next time Happy Reading! Thriller month! Cant wait to hear the reviews!